Blasingame graduated in May with a degree in Medicine, Health and Society alongside a minor in African-American and Diaspora Studies. Earlier this summer, Khari Blasingame, graduate student and a member of the Vanderbilt football team, ventured with a handful of other Commodores to Birmingham for joint meetings at the Southeastern Conference offices of student-athlete leadership councils and the student-athlete advisory committee (SAAC). Blasingame was joined by other Commodores selected by their peers to attend leadership council meetings: Cierra Walker (women’s basketball), Matt Ryan (men’s basketball), Fernanda Contreras (women’s tennis) and Mary Beckwith (swimming). Blasingame has grown accustomed to the life of a student-athlete between the tackles. But in Birmingham, the talented running back found himself gelling with student-athletes of different sports. Blasingame is in his fifth year at Vanderbilt, and he has made the most of his tenure as a student-athlete. In fact, the Commodore running back and team captain is more than a football player; he serves as a prime example of the true student-athlete experience at Vanderbilt. The Huntsville, Ala. native entered the 2018 football season as a three-year letter winner at Vanderbilt and a leader for head coach Derek Mason. Blasingame arrived on West End as a linebacker in 2014, but he switched to running back ahead of the 2016 season and has thrived on offense. Blasingame rushed for 596 yards during the past two seasons and has started two games this fall as part of a deep crop of rushers for the Commodores. 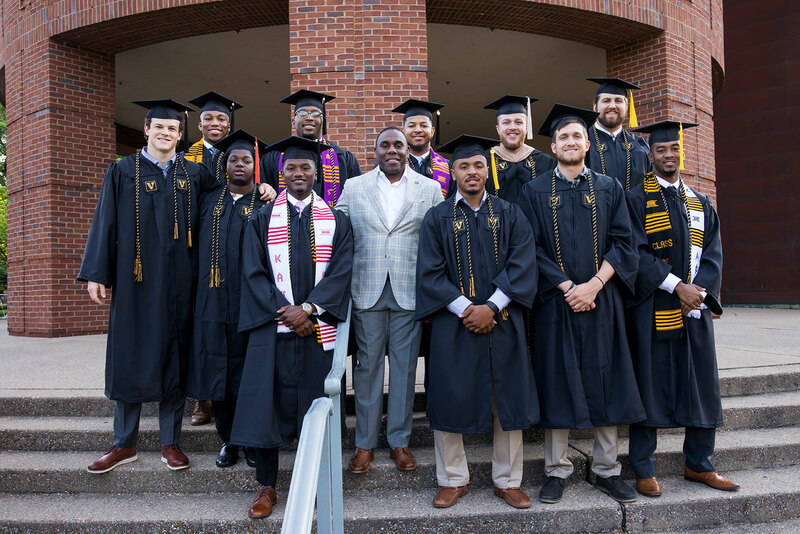 Blasingame said every Commodore student-athlete owes it to themselves to get the most out of their Vanderbilt experiences.Off the field, Blasingame graduated in May with a degree in Medicine, Health and Society alongside a minor in African-American and Diaspora Studies. He is the recipient of the Walter R. Nipper Jr. Football Scholarship and is currently working toward a master’s degree in Leadership and Organizational Performance at Vanderbilt. Blasingame is a four-time Dean’s List honoree, and last summer he was named to the College Sports Information Directors of America (CoSIDA) Academic All-District Team. He was also nominated for the 2018 Allstate Good Works Team for his philanthropic efforts, including serving as mentor for first-year minority students at Vanderbilt through Project I Am. Blasingame has managed to balance life as an SEC student-athlete with an eye towards his future. 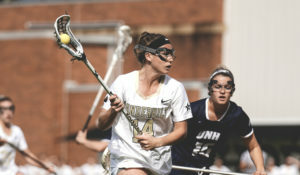 As part of Vanderbilt Athletics’ comprehensive internship program, Blasingame has held internships with Nashville General Hospital and MediCopy, a company that oversees secure delivery of healthcare information. One day, Blasingame hopes to become CEO of a healthcare system, putting his all-encompassing Vanderbilt experience to good use. The veteran Blasingame has already begun to reflect on his career as a student-athlete. At Vanderbilt, he has competed against the best in the SEC and collaborated with the best in the classroom – absorbing important lessons along the way.